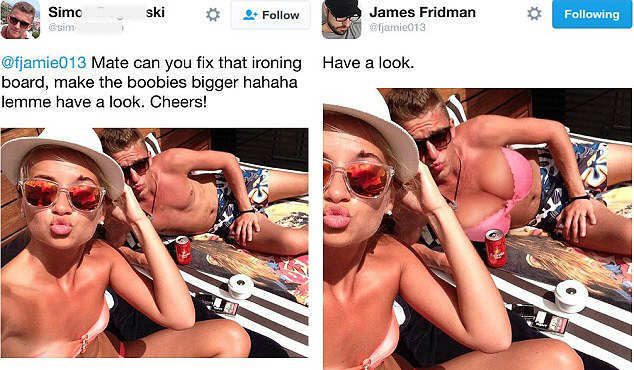 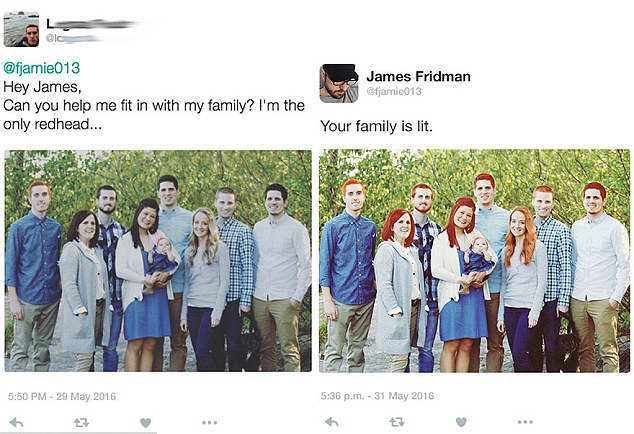 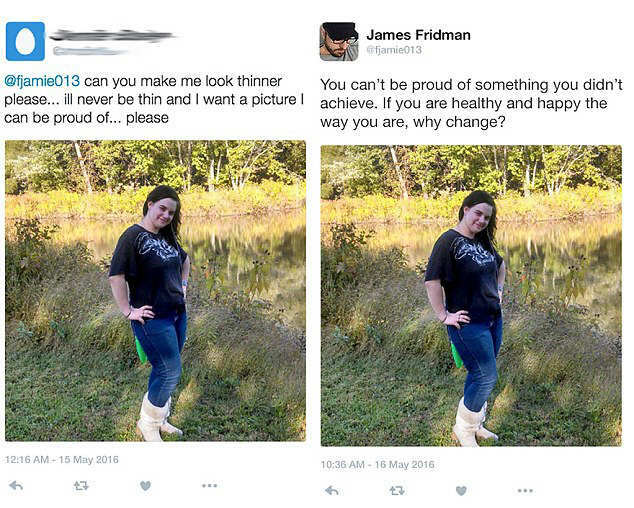 The social media prankster James Fridman is back with more of his hilariously Photoshopped photos. 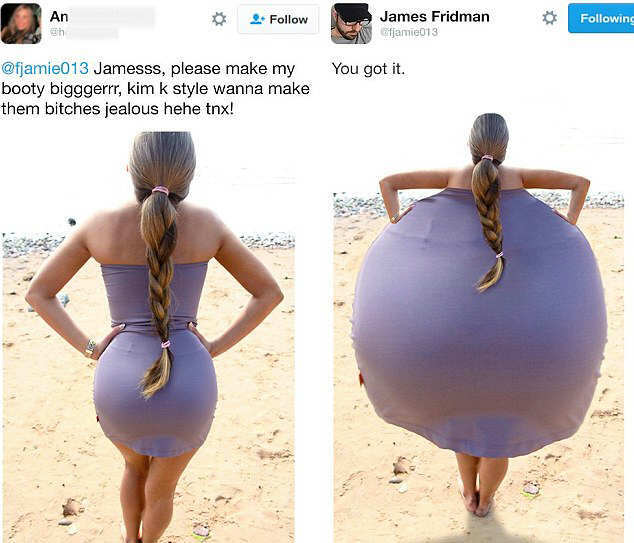 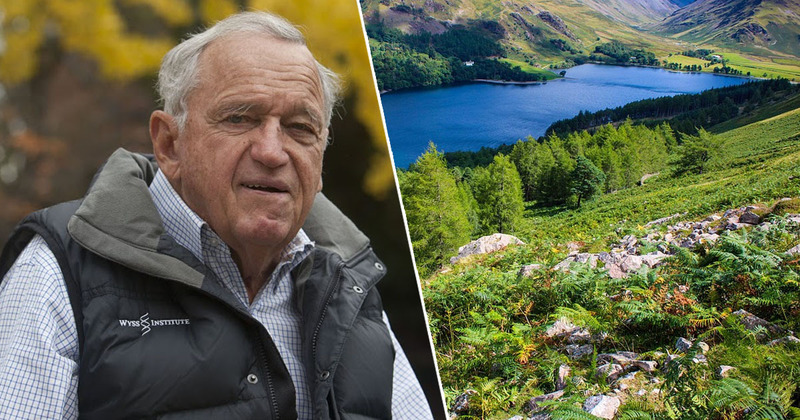 Fridman shot to fame for his side-splitting picture edits which turn people’s unrealistic requests into comedy gold on Twitter, The Daily Mail reports. 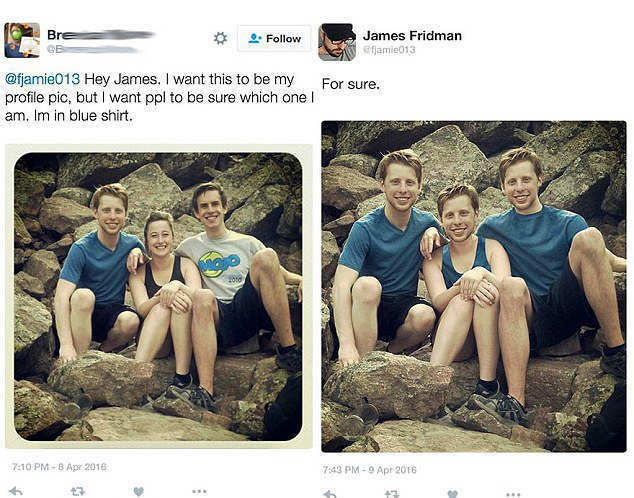 The graphic design expert invites people on his Twitter feed to send him photos to edit and warns they shouldn’t submit any personal photos that they don’t want to be made public. 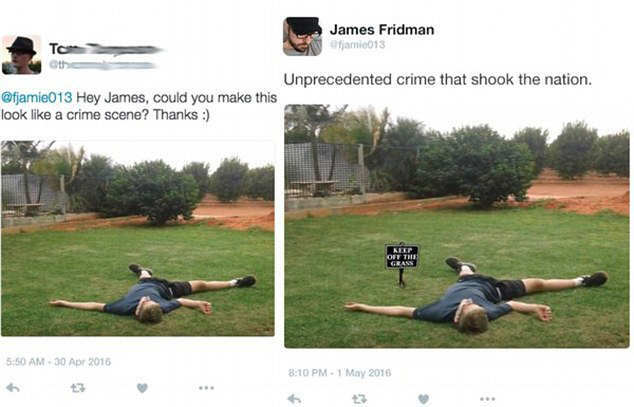 It’s pretty likely that his ‘victims’ were hoping for slightly different results than these brilliant pics! 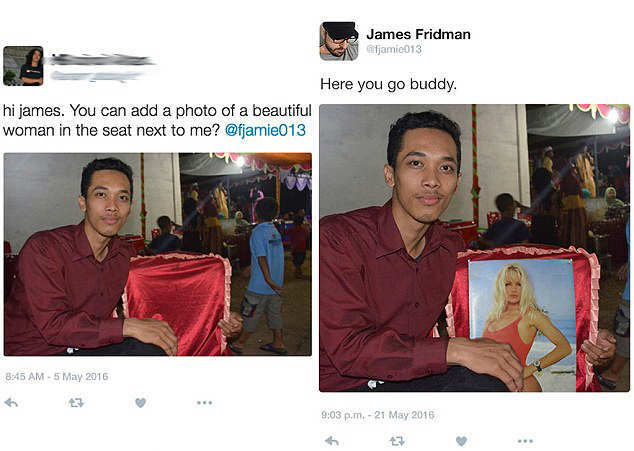 Here’s a selection of the U.S. based funny man’s work. 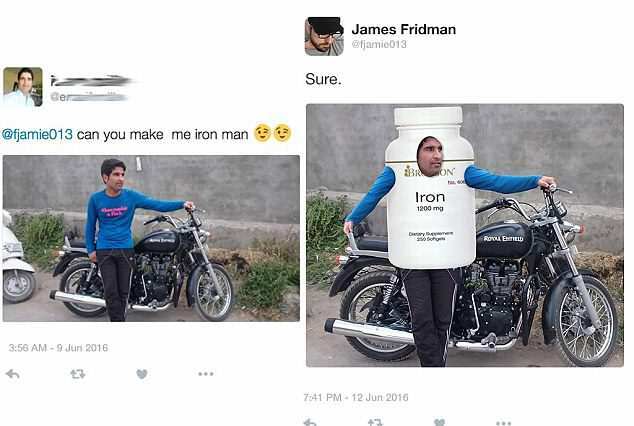 This is his best work. 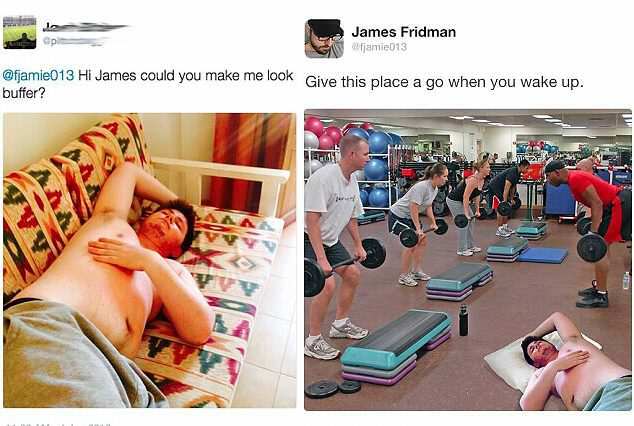 Keep up the great work, James!